Norway is a sovereign state in Europe. It is the world’s largest producer of oil and natural gas outside the Middle East. Norway is a vibrant country with a population of 5 million people. It is the chance for magnificent sightseeing. Popular attractions include the Viking Ship Museum in Oslo, Vannkanten Waterworld in Bergen and Preikestolen in Stavanger. 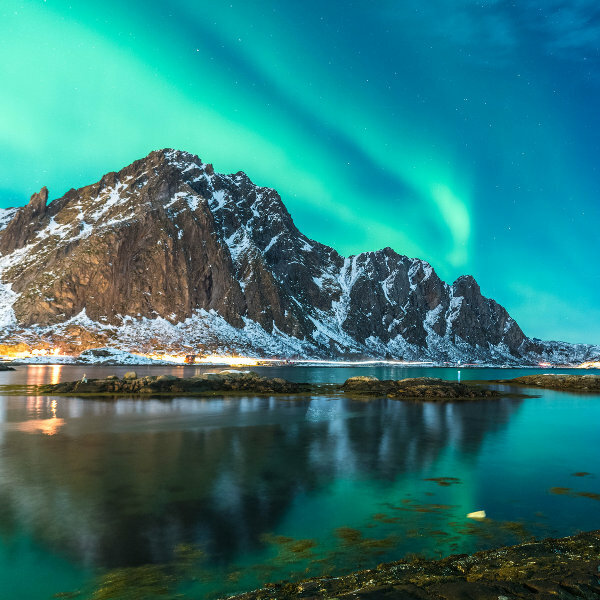 Cheap flights to Norway are now available for a limited period of time, so get ready to explore this enchanting Scandinavian paradise. Oslo is the home of Oslo Airport (OSL), which is located 40 minutes from the city centre. 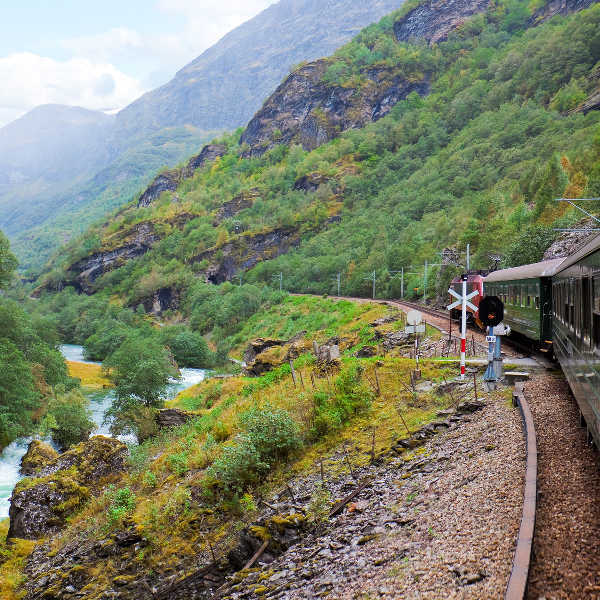 Norway’s gorgeous countryside can be viewed from the comfort of a luxurious train ride. Hop on a journey from Oslo or the Dovre Railway (from Oslo to Trondheim) or the world’s steepest railway lines; Flåm Railway. Bear witness to amazing natural sightings with the first being the Midnight Sun, during the summer months. The spectacular Aurora Borealis is the real showstopper with its incredible light show in the night sky. A sure way to get your adrenaline pumping in Norway is by skiing. Take advantage of the Norwegian landscapes and venture across velvet, snow-capped slopes. 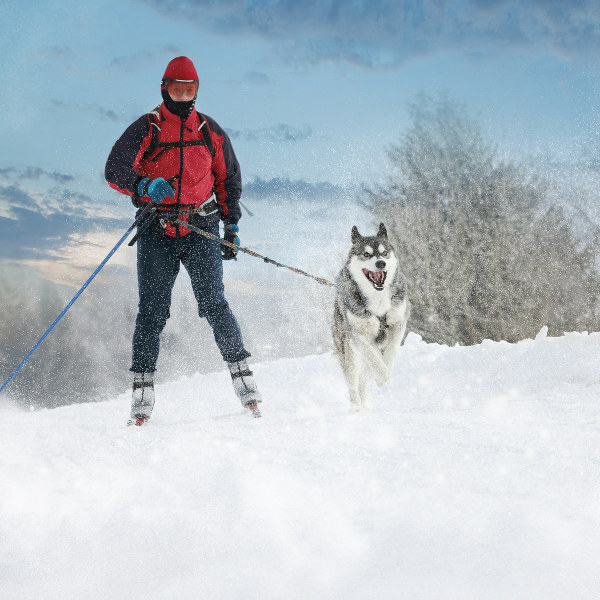 There are several ski resorts to choose from including in the cities of Bergen and Geilo . Norway’s cities can be traversed in winter (December to February) as you make your way through the northern part of the country where you can experience the ethereal display of northern lights. There is also the thrilling opportunity to go skiing, ice fishing and snowmobiling. Spring (March to May) sees the descension of winter’s snow as it begins to melt and create beautiful natural waterfalls. Norway’s fjords are a must-see and spring is the prime time to encounter the vast majestic beauty of nature that lies within the fjords. Summer (June to August) is pleasantly warm with temperatures reaching 30 degrees Celsius. Enjoy incredible summer festivals such as the Norwegian Wood Festival in Oslo and the Viking Festival in Karmøy. A trek to this Scandinavian Peninsula, officially known as the Kingdom of Norway, is sure to ignite the most harmonious feelings. Norway is the ideal destination to explore the very best that nature has to offer. Journey amongst sensational fjords, breath-taking glaciers and gorgeous coastal islands. Explore the beautiful city of Bergen (the west coast’s largest port), offering beautiful views of natural scenery. Take a rejuvenating trip up Bergen’s Seven Mountains. This cultural attraction utopia offers incredible activities and events, including cycling along Rallervagen and Bergenfest (music festival). Oslo, Norway’s capital city offers magnificent scenery with its cityscape largely comprised of parks and open spaces. Wandering through the city on foot makes for an incredible way to take in the beautiful sights. Popular attractions include the National Theatre, Akershus Fortress and Vigeland Sculpture Park. Stavanger is one of Norway’s oldest communities, dating back to the 12th century. Otherworldly natural wonders overwhelm your senses throughout your journey in Stavanger. Prekestol (“Preacher’s Pulpit”) has spectacular views - this one-of-a-kind attraction can be reached by road and ferry. Once you’ve had your dose of natural wonders, take a trip to the Market Square for some shopping and bathe in the Norwegian culture. Compare several airlines and book your cheap flights to Norway online at Travelstart. Travellers should be up-to-date on routine vaccinations before travelling to Norway. These vaccines include measles-mumps-rubella (MMR), diphtheria-tetanus-pertussis, varicella (chickenpox), polio, and your yearly flu shot. You should also consider getting vaccines against hepatitis A, hepatitis B and rabies as there is the risk of contracting these diseases in Norway. Norway’s cities are extremely safe for tourists to visit, however, you should remain cautious as with every major city around the world. • Harsh environmental conditions can be fatal – practice thorough safety measures when hiking or on the sea. • Beware of polar bears in Svalbard – never go out alone. • Avoid areas around Gronland, Toyen, Kuba or Karl Johan street in Oslo. • Make sure that you use reputable taxis around nightclubs. • Be cautious of pickpocketing in Oslo and Bergen.